"It has emerged that the chief of the road safety group that persuaded Nicolas Sarkozy’s government to adopt the ruling is also a senior executive with the leading manufacturer of the blow-in-the-bag test kits. 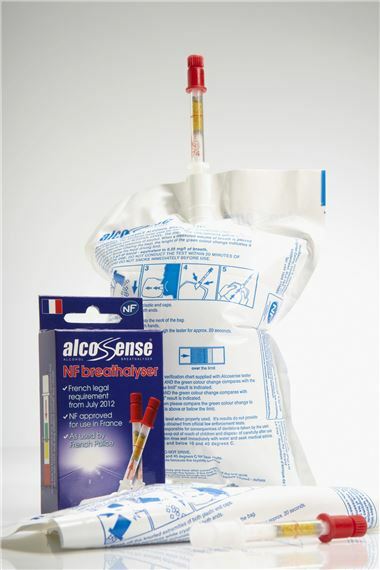 French daily Sud Ouest revealed on Wednesday that Daniel Orgeval, the president of the anti-drink driving lobby group I-Test, also works for Contralco, the leading manufacturer of the equipment. I-Test was formed just eight months before Sarkozy’s government adopted the new law in March last year. Contralco, one of only two companies who produce a test-kit of the required standard, was reportedly in financial difficulties until the law was approved. But since then it has taken on over 100 staff, thanks in no small part to a demand for five million test kits a month. Sud Ouest’s exposure of Orgeval’s double role has led to an angry response from other motorist groups." So what other bits of dodgy French and EC Legislation has been imposed for the benefit of the manufacturer of kit that becomes a legal requirement? Having just returned from driving 2,400 miles through France and Spain, I can honestly say that High Viz vests should be compulsary in the UK as I believe they will save lives. A set of replacement bulbs however are just pointless, as who can change a xenon headlight apart from a dealer? A couple of them costs £2.50 and that's every 3 years. What with diesel at £1.10 a litre here we're being priced off the roads, I tell you. Anyone want to bet that speed limiters on lorries (which a judge in Canada recently said endangered the driver of the lorry and everyone around him) were fitted after a campaign by the manufacturers? If you try and sell something like that normally you spend a lot on advertising and you might sell a few to hauliers who think their lorries should go slower, but if you can persuade governments to make them compulsory you've got a licence to print money.